Being entrepreneur is not an easy job. Managing the product, the team and everything around it takes not only a lot of time but also creativity. Thanks to technology and the smartphones - these days there is pretty much the app for anything you need. However, to navigate through millions of applications in App Store or Google Play you need some guidance. That is why we have compiled this review for an app, EntrepreneurX™ Share your work. What is EntrepreneurX™ Share your work? EntrepreneurX™ Share your work is a smartphone app for entrepreneurs to help them in taking their product/services to new heights. The app is purely dedicated to the community of entrepreneurs to help them connect and share their business with like-minded people on the go. 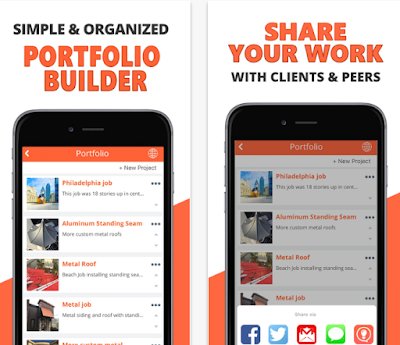 The best part of this app is that it helps you to create portfolio and within few clicks, you can create your own website along with customized settings and layout. The app also brings the social features where entrepreneurs can share their ideas or get advice from the community they belong to with instant messaging feature and it also features peer-to-peer sharing of your portfolio and other worthy material. You can also get news from the entrepreneur’s world and the trending stuff related to entrepreneurship. The app is available free for iOS and Android OS devices, whereas you can also go for its premium features to unlock more worthy stuff. You can find the direct download link to the app at the end of this review.